There's a resurgence of fine work bringing us artisan-crafted fireplace tools, stove hoods, garden gates, and metal art tiles. 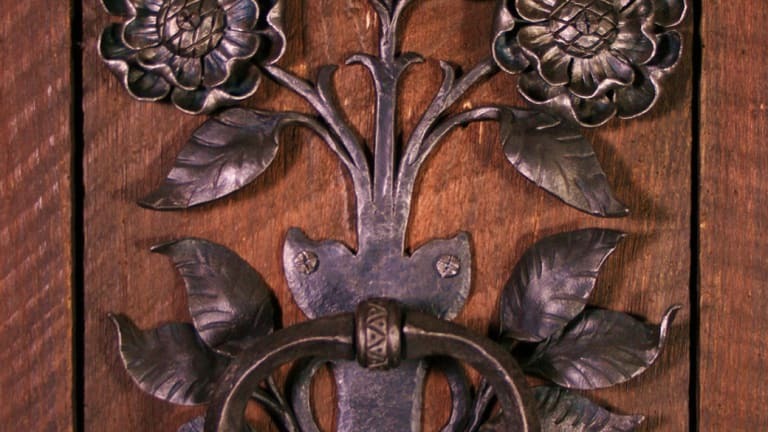 Copper, brass, and iron lend richness and artisanry to the home, and such objects were an intrinsic part of the Arts & Crafts interior. 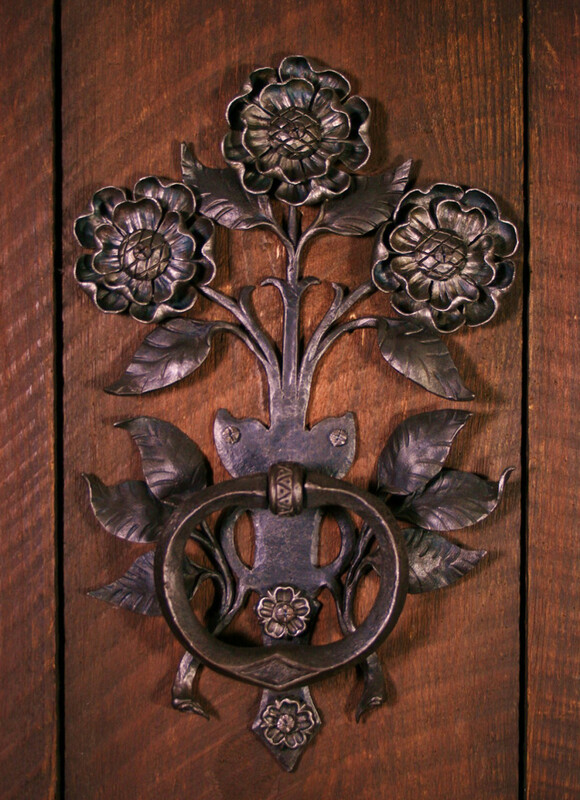 In the U.S. at the beginning of the 20th century, such artist–craftsmen as Samuel Yellin resurrected an old tradition of craftsmanship in metal. Today’s artisans are similarly talented. 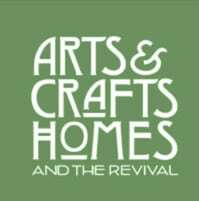 A handmade chandelier by Roycroft Renaissance Master Artisan Robert Trout. 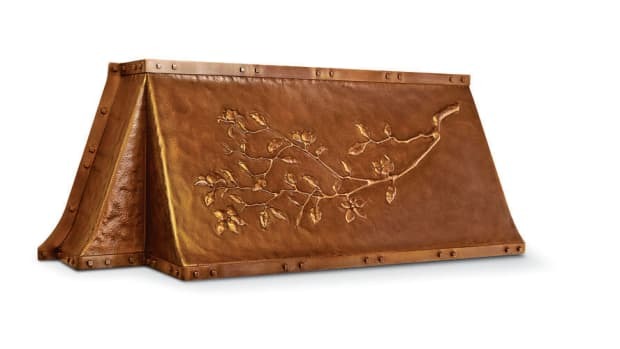 Robert Trout, for an example, was inspired by Elbert Hubbard and has been a Roycroft Renaissance Master Artisan since 1998, specializing in hand-hammered copper. Trout is mindful of Hubbard’s “head, heart, hands” motto, putting his design, artistry, and skill into each piece. 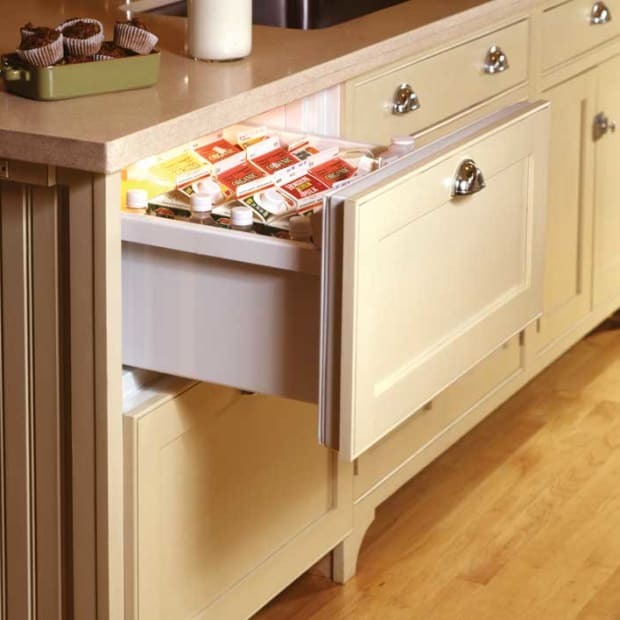 Objects include chargers and plates, picture frames, vases, letter openers, and candlesticks. Trout’s work is shown in the Copper Shop Gallery in East Aurora, New York. Blacksmith Christopher Thomson moves quickly with hot iron in his studio outside Santa Fe. In true Arts & Crafts tradition, New Mexico metal artist Christopher Thomson is inspired by nature and the monumental rock formations of the Southwest. 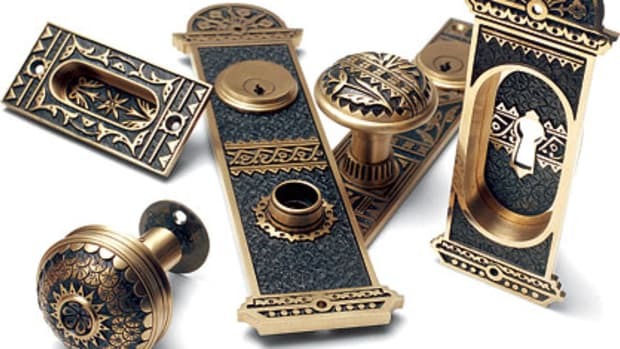 Making everything from candlesticks and chandeliers to tables and chairs from white-hot iron and bronze, which allows the hammering, stretching, and bending that creates the design. He uses ancient symbols, as in the Tree of Life firescreen that celebrates the connections between humans and nature. 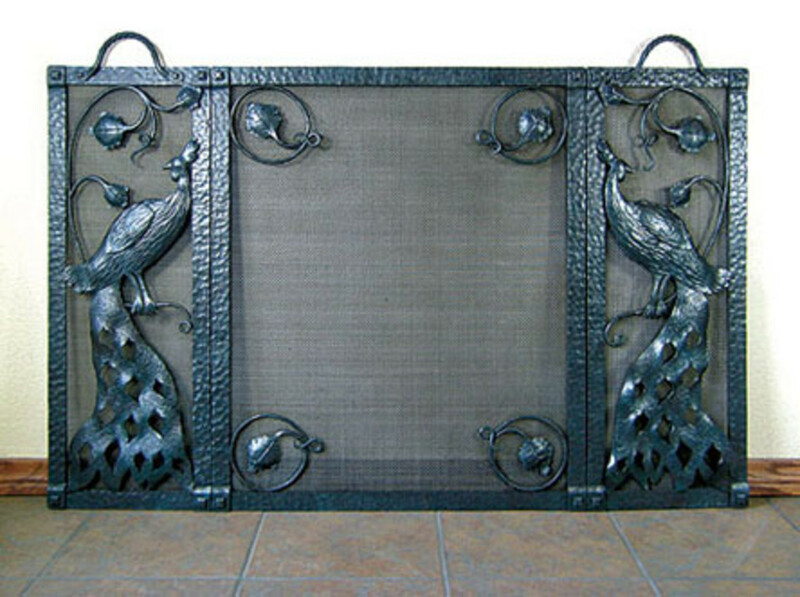 Peacock firescreen by Bushere & Son Iron Studio. Charles Bushere of Bushere & Son Iron Studio grew up in southern California and from an early age was taught to appreciate Batchelder, Bauer, and other early California artists and potteries. It’s no surprise that his fine Peacock firescreen was inspired by the design on a Batchelder tile. One screen can take over 55 hours to make. The Artemesia and Aubrey tiles in patinated bronze, from Metaphor Bronze. Decorative tiles were a staple of Arts & Crafts design. 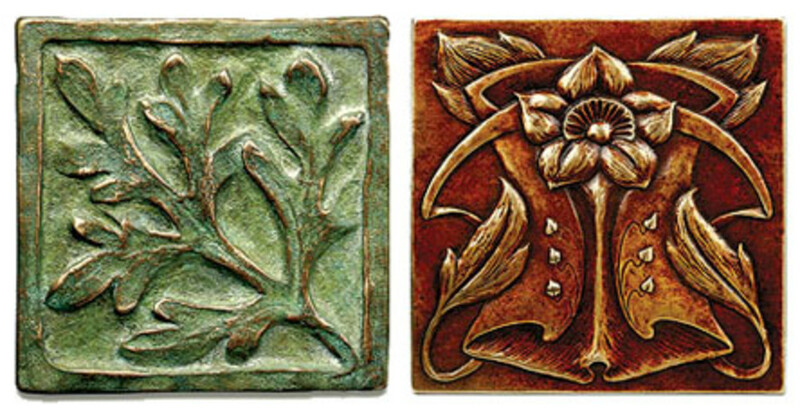 Jay Gibson of Metaphor Bronze produces solid cast-bronze tiles in designs inspired by nature. 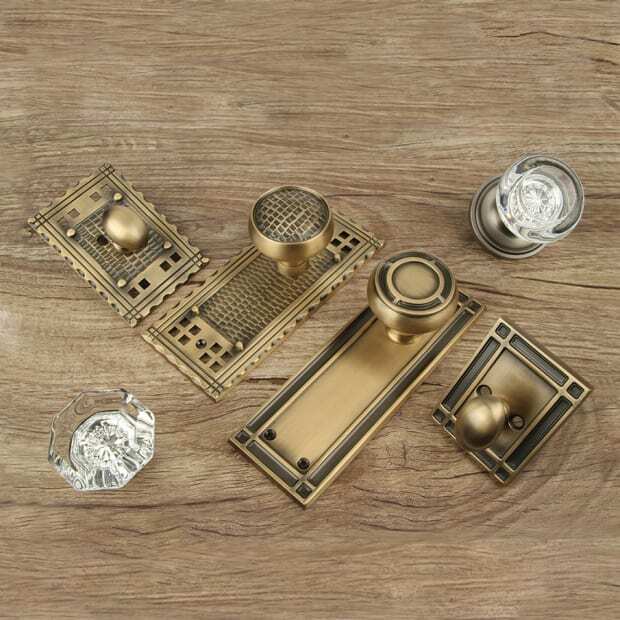 Each tile is patiently sculpted by hand, in oil clay; then a rubber mold is made and hard urethane patterns cast, which are used to make a sand mold from which the bronze is finally cast. 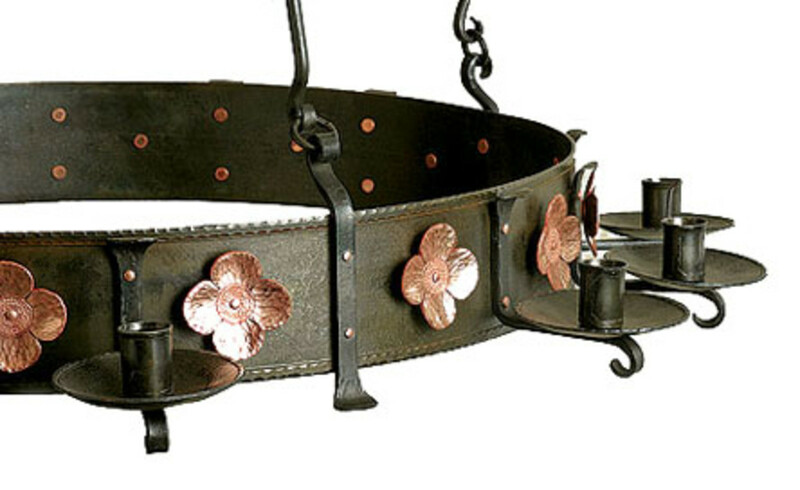 The stylized flowers and tendrils of Gibson’s ‘Aubrey’ line are a favorite among bungalow owners. The metal tiles look great in backsplashes, bathrooms, and on the porch. 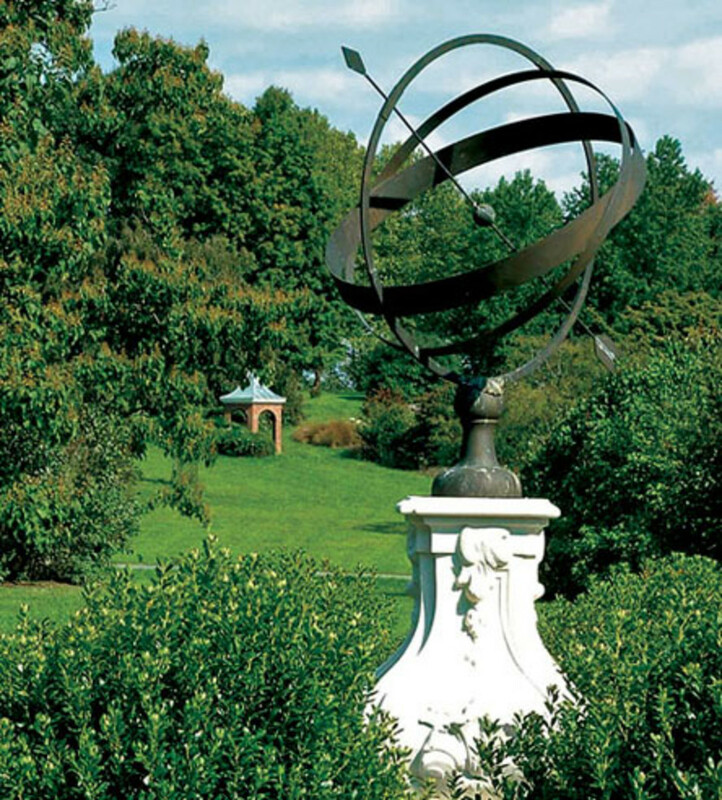 An armillary sphere by by Heritage Metalworks is the focal point in this garden. 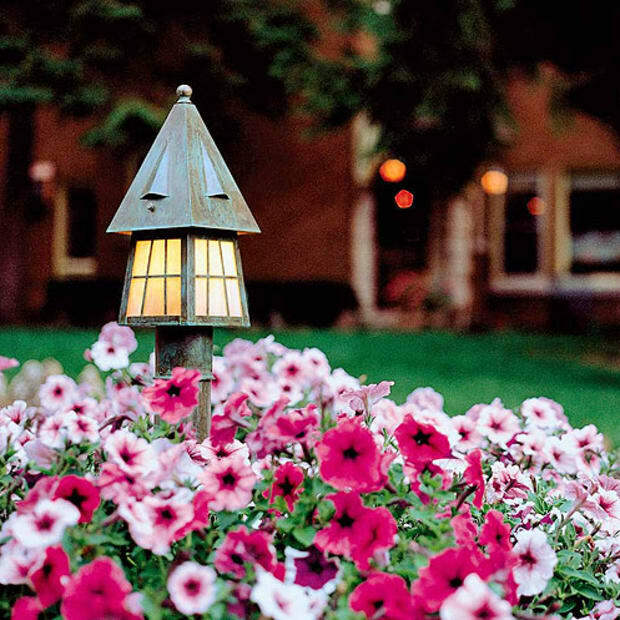 Metal fittings from fences to fountains often anchor the garden. Conservation and reproduction both are offered by Heritage Metalworks, says co-owner Matt White. When Winterthur asked him to reproduce an antique armillary sundial that had been damaged in a winter storm, he approached the project methodically, measuring the original and creating a mold. The cast mold was filled with wax, covered with sand and slurry, and hardened, then heated in a kiln until the wax melted away to leave a shell used to receive molten bronze. After the metal cooled, the shell was carefully hammered off and a newly cast, 70-pound sundial emerged. A popular item, it’s available for sale in reproduction. Finish gives metal objects protection and their beauty. Lowell Chaput has been forging iron for over thirty years. 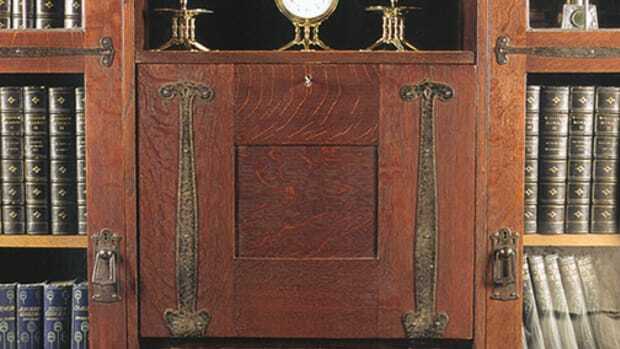 To achieve a patina of age for an interior project, Chaput has a several-step process. 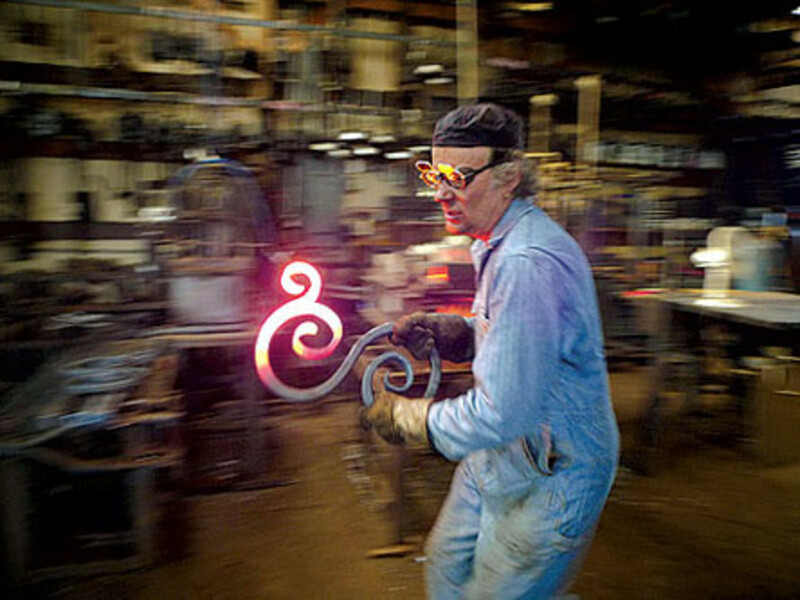 After forging, he sand-blasts a piece to raw metal and sprays it with a mixture of hydrogen peroxide and liquid dish-soap to produce a dark red-rust finish. After it dries, the metal is rinsed with fresh water and baking soda to neutralize the acids, then oiled and waxed.